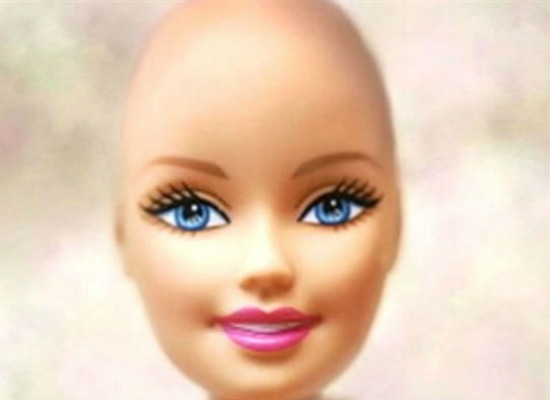 Mattel, the maker of Barbie is in the process of producing a “bald fashion doll” for children who have lost their hair due to illness, announced the company in late March. “These dolls, which will be a friend of Barbie, will be distributed exclusively to children’s hospitals and other hospitals treating children with cancer throughout the U.S. and Canada, directly reaching girls who are most affected by hair loss,” said Mattel Company spokesman Alan Hilowitz in a statement. The announcement was fueled by a Facebook movement demanding Mattel to fabricate a bald version of the famous blonde Barbie doll early in the year. The Beautiful and Bald Movement has claimed 159 thousand “likes” to date. The doll would include hats, scarves and other fashion accessories to provide girls with the traditional play experience. 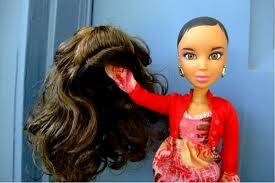 Also, an option if chosen will include wigs and head coverings to be interchanged or removed completely. 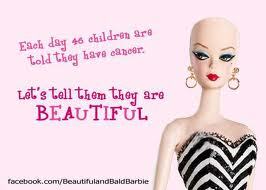 A co-founder of the bald doll cause, Beckie Sypin told ABCNews.com in January that the debut of the Bald Barbie is hoped to help children with cancer and other illness cope with their conditions. It’s not only intended to help them cope with their own condition but also to cope with the hair loss of friends and loved ones. Mattel now says that it made the “decision not to sell these dolls at retail stores and profit from them, but rather more directly and immediately get these into the hands of children who can most benefit from a play experience with these dolls.” Mattel also plans to donate some of the dolls to National Alopecia Areata Foundation.